This is a follow-up blog post with more detailed content from our webinar on How to make your eLearning more interactive. 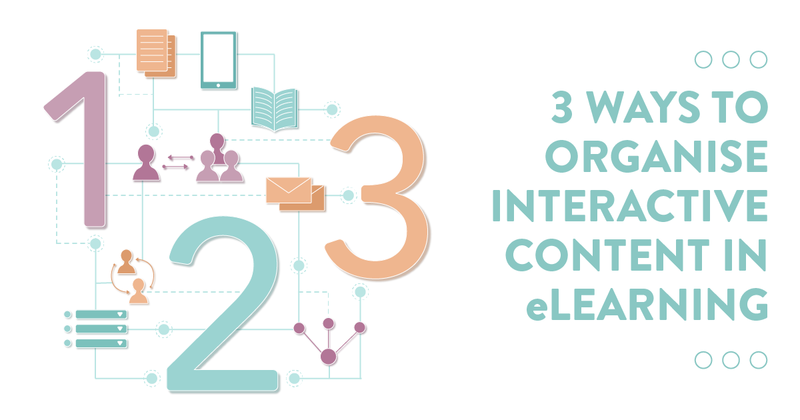 There are three common ways to organise interactive content in an eLearning module. Learning something new means doing a task or activity in a different way. It means making decisions in a different way. It’s not just knowing some facts. I’m sure for most of us there are things we ‘know’ but don’t actually put into action. From doing our podcasts about xAPI and learning data I’ve realised that one of the great myths about xAPI is that it solves all your learning measurement problems. A short guide to technologies that are part of a learning ecosystem.